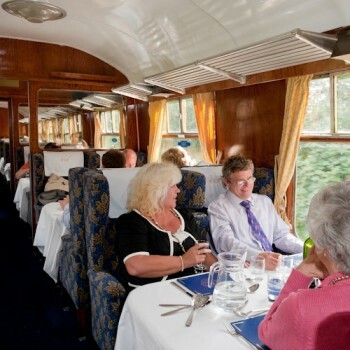 This train runs on Saturday evenings throughout the year, except during January, early February and at certain special events. 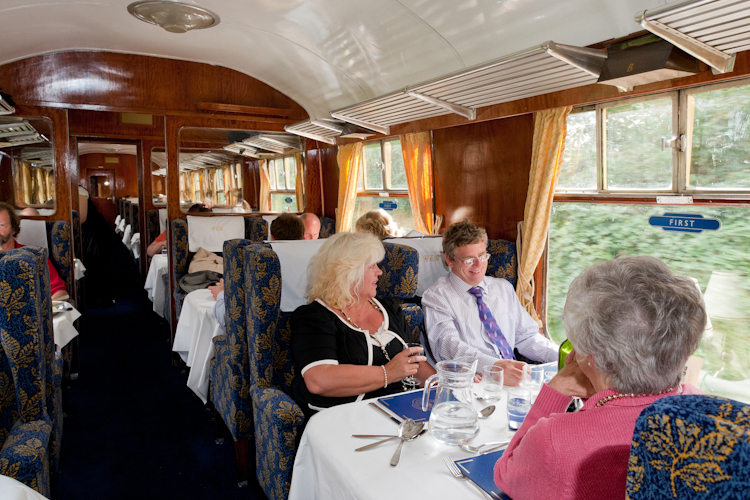 Your six course dinner is served aboard our First Class Restaurant Cars as one of our historic main line steam locomotives takes you on a leisurely journey through the Leicestershire countryside. 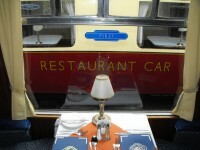 The train departs from Loughborough Central and your meal is served during the journey. Please note if you require the voucher to be shipped to a different address, this option is available at the checkout. The price also includes a £3 admin fee. 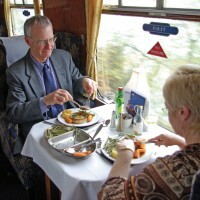 Be the first to review “Charnwood Forester Dining Service – 6 people” Click here to cancel reply. At Great Central Railway PLC we take your privacy and data security very seriously. Our Privacy Notice can be viewed here. Great Central Railway Online Shop © 2019. All Rights Reserved.